Why would I need self storage in Liverpool, NY? There are a variety of reasons why you might need self-storage in Liverpool, NY. How much is a storage unit in Liverpool, NY? The cheapest storage unit in Liverpool, NY is $68.00 per month. What size storage units do you have available in Liverpool, NY? In Liverpool, NY we have sizes that range from 5'x10' to 10'x20' to suit your storage needs. How much is it for a 5'x10' storage unit in Liverpool, NY? The cheapest 5'x10' storage unit in Liverpool, NY is $68.00 per month. Liverpool is a small village in central New York, on the north shore of Onondaga Lake. It's a part of the town of Salina and a northwestern suburb of Syracuse. Onondaga Lake is a very popular destination for locals and visitors alike, attracting more than 1 million people every year. Historians trace the roots of Liverpool to 1500, when spiritual leader Hiawatha united the leaders of five Native American tribes around a council fire and inspired the Iroquois Confederacy. Europeans passed through Liverpool and briefly settled here throughout the 1600s, and in the 1750s, Sir William Johnson bought land in the area. It wasn't until 1784, however, that Ephraim Webster settled in Liverpool, married one of the Onondaga people and established his business. In 1797, the state's surveyor general outlined the borders of Liverpool and designated its name. More settlers arrived, and development began in earnest as buildings, roads and dams were constructed. Residents drained part of the lake to reduce exposure to mosquito-borne disease. During its early years, Liverpool's primary industry was salt production. Although there was no natural salt to be mined in the town, manufacturers created processes to turn brine into salt. Additionally, citizens built resort-like accommodations around Lake Onondaga, which boosted tourism revenue and created recreational facilities for people who lived in Liverpool year-round. Citizens also caught whitefish in the lake and exported it to New York City and other major cities in the state. As a result of these and other thriving industries, Liverpool grew steadily for many decades. There are plenty of amenities, from gyms and restaurants to clothing stores and coffee shops, in Liverpool to keep you comfortable. Plus, the town's proximity to Lake Onondaga creates many recreational opportunities for weekend and summer activities. A low crime rate is another attractive features of Liverpool, making it a safe place to raise a family. Unlike much of New York, Liverpool boasts a fairly reasonable cost of living. Many necessities, including health care and transportation, are slightly more expensive than the national averages, but you'll save more than residents of other New York cities do. Utilities and housing costs fall below national averages, which offers residents more ways to manage their finances. The Liverpool Central School District oversees the schools in the Liverpool area. The district has developed a number of well-rated programs, including a student-run credit union and a variety of extracurricular activities. 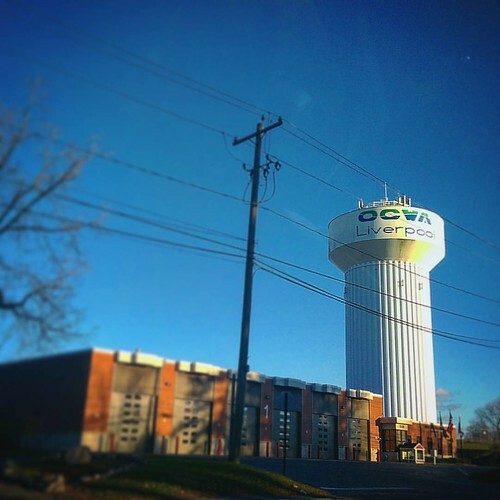 Utilities: National Grid and Central New York's Water Authority are Liverpool's primary utility providers. Garbage and Recycling: Trash, recyclables, bulky items, yard waste and appliances are all eligible for curbside collection. You'll be required to sort your recyclables using two bins provided to you: one for paper products and the other for glass and plastic. Transportation: Centro is the public transit agency serving Greater Syracuse, including Liverpool. Liverpool, like most of the Syracuse area, is an extremely affordable place to live. Home prices are well below the national average, though they are rising steadily. The variety of home styles and sizes provides options for everyone from young singles to large families. If you'd prefer to rent, there's a wide selection of apartments, townhouses and condos. Our lowest priced units in Liverpool, NY average $68.00 per month. 95 people have reserved units in Liverpool, NY in the past 30 days. There is 1 location within Liverpool, NY's city limits.